Our firm has specialized in workers’ compensation and personal injury law for more than 25 years, helping our clients get the compensation they deserve for their injuries and losses, with a commitment to unmatched client service and integrity. Today, our team of nine attorneys and legal staff work hard to defend the rights of accident victims who’ve suffered serious injuries or death. At Cruz & Associates we are committed to meeting the individual needs of each client, helping them to navigate through the complicated legal process of their case. We lend our experience in the areas of auto accidents and workers’ compensation law to get the highest possible compensation and benefits our clients are entitled to. 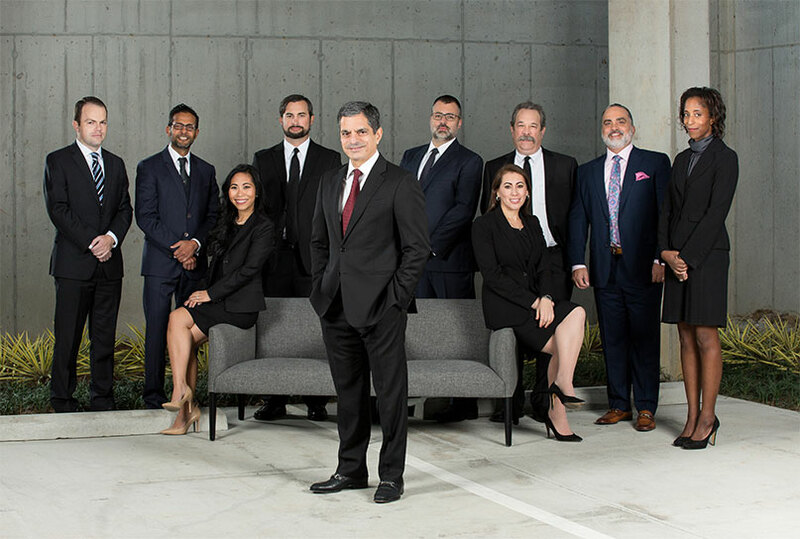 Our Phoenix and Atlanta offices serve many Spanish-speaking clients and our professional staff at both locations are fluent in Spanish and English to better serve all victims of auto accidents and on the job injuries. Our legal teams are strategically aligned to provide you the best representation for your case. We work for you – not the insurance company, your employer or any outside entity. We focus on getting you all the compensation and benefits you are entitled to. Our staff is dedicated exclusively to Workers’ Compensation, Auto Accident, and Personal Injury cases, insuring that you receive the most experienced and highly effective council for your case. We know the laws related to your case, understand how the process works and use all of our knowledge and resources to maximize the benefits you’re entitled to. In 1989, our founder, Ruben J. Cruz, the son of Cuban immigrants, foresaw the growth of the Hispanic community in Atlanta and decided to open Cruz & Associates to serve families that much like his own lacked the language skills to understand and protect their rights. Mr. Cruz recognizing a similar need in Phoenix and later opened the Arizona office with Jason Harris, providing the best legal representation with a fully bilingual staff. Mr. Cruz’s commitment to protecting the rights of the injured in his community for the last 25 years has positioned Cruz & Associates as one of the leading auto accident and workers’ compensation law firms for Hispanics in Atlanta and Phoenix. If you or a family member has been injured in an auto accident or an accident at work or sustained an injury due to the negligence of others, contact us to set up a free consultation. We can meet in our office, your home or the hospital if you are unable to travel. Someone is available 24/7 and we are only a phone call away. Our firm has great experience in workers’ compensation and personal injury law for more than 25 years, helping our clients get the compensation they deserve for their injuries and losses, with a commitment to unmatched client service and integrity. Today, our team of nine specialized attorneys and legal staff work hard to defend the rights of accident victims who’ve suffered serious injuries or death. If you or a family member has been injured in an auto accident or a work accident or injured due to the negligence of others, contact us to set up a FREE CONSULTATION. We can meet with you in our office, in your home or at the hospital if you are unable to travel. Help is available by phone or chat 24/7. If you or a family member has been injured in an auto accident or an accident at work or sustained an injury due to the negligence of others, contact us to set up a free consultation.